Many people may remember this sort of toilet paper (it is sort of like tracing paper). It probably came from inside a government building or office. 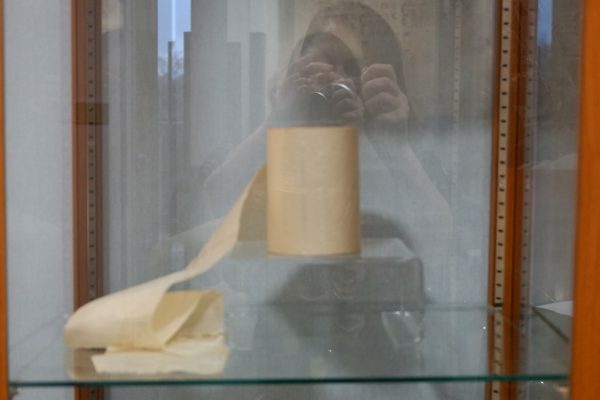 If anyone knows more about this sort of toilet paper do tell us as we would be interested to know more about it.